We went tubing on the Ichetucknee River and rented tubes outside the state park. 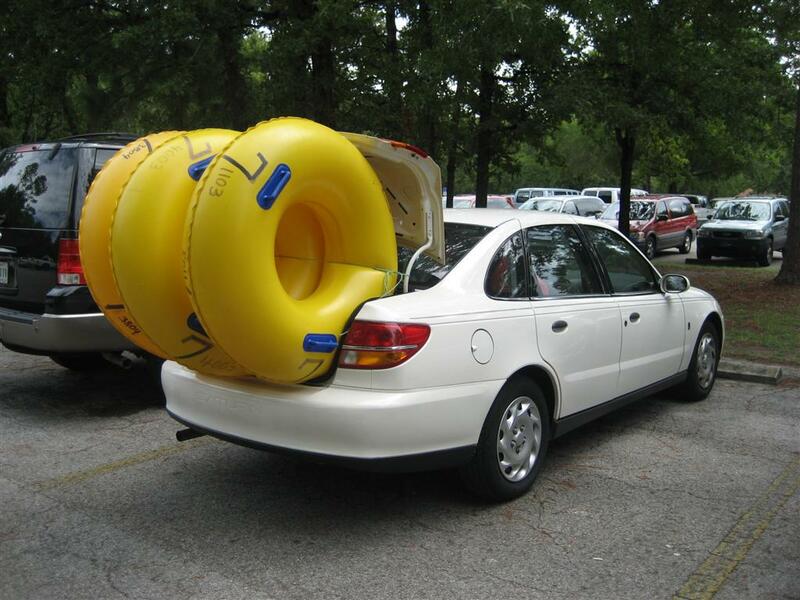 I was a little concerned about how to take three large tubes to the river. The people renting tubes had it all figured out. 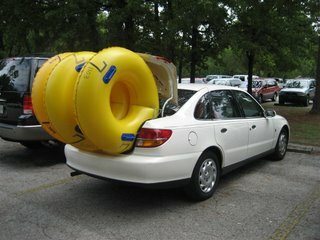 Here is how they tied the tubes onto the trunk of my car. We only had about 3 miles to go with the tubes tied on. I thought it was pretty funny. Unfortunately I don't have any pictures of the beautiful spring fed river because I didn't have a waterproof camera. Click below to find out more about Ichetucknee State Park that is just north of Gainesville. Suddenly your old van doesn't sound so bad..lol.